The UVM Dairy Club visits the CREAM barn for farm tours. 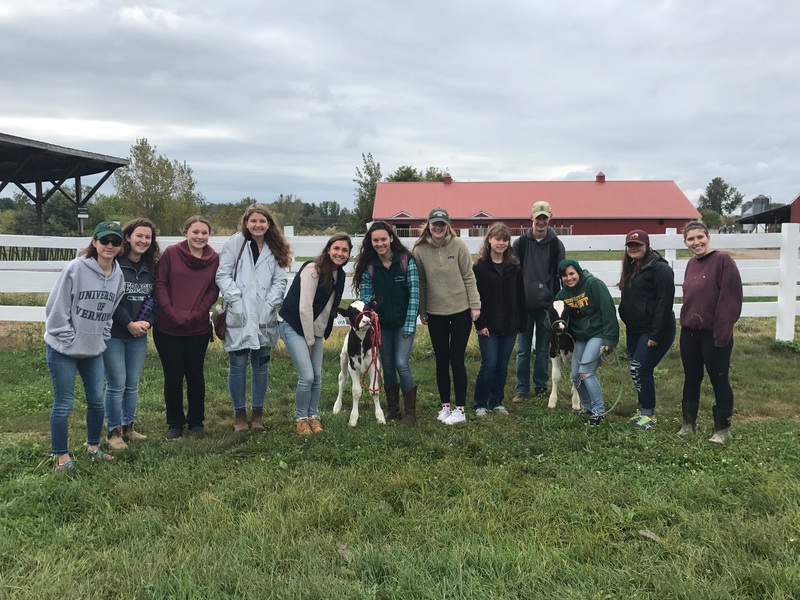 The UVM Dairy Club provides a forum for those interested in dairy production and processing to meet socially and have fun while exploring and making contacts with the Vermont dairy industry. The club promotes dairy farming and dairy products on campus and in the community through both club sponsored events and other volunteer opportunities. Dairy Club also works very closely with the CREAM program, and is a great way to make connections for students interested in being part of the program. Club trips and activities have included participating in the Northeast Student Affiliates (NESA) inter-collegiate agricultural competition, trips to the Toronto Winter Royal Show, NY Spring Dairy Carousel in Syracuse, NY, Calf on Campus on the UVM Davis Center green, volunteering for different 4-H activities, and many farm tours around VT. If you are interested in joining Dairy Club, or just have questions, please attend our meetings.